This phone is essentially a rugged equivalent of the NZ$599 2015 Samsung Galaxy A5. The AGM has exactly the same Snapdragon 410 processor and graphics chip as the A5, but it is tougher, waterproof, and has more RAM and storage than the Samsung. If you work in the back-blocks, or a building site, or anywhere that you need an all-weather phone capable of handling a tough environment, then the M004A variant is for you. 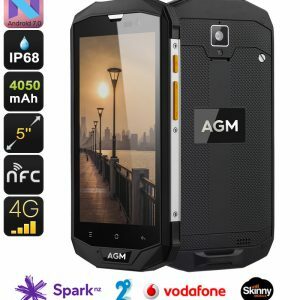 IP68 waterproof, and with high shock resistance, this dual sim phone will allow you to run two networks in the same handset – really useful if you are in rural or bush areas and need maximum coverage for emergencies or business.Fully operational on Spark, Vodafone, 2Degrees, Skinny, Warehouse Mobile and all other NZ networks. SCROLL DOWN TO SEE UNBELIEVABLE VIDEO! No. 1 in I Need It Quick! Got one of those sleek wafer thin, S-something smartphones but you broke it? Or maybe out on the site you got caught in a rainstorm and S-something spat the dummy. Shame that the phone got dropped in the mud and you can’t wash it. Good news. We have the solution. 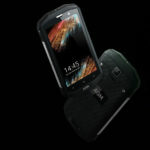 At Investigate magazine, we needed rugged smartphones that could handle all weather extremes, could take a bit of outdoors rough and tumble, and which had battery life that lasted longer than sundown. 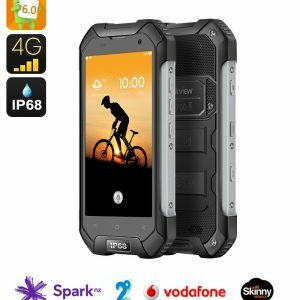 So we searched the world for something the big telcos don’t offer: rugged smartphones compatible with New Zealand and Australian networks. From the hundreds of models on offer, we found ones that worked where you work, and with expandable memory. Guaranteed compatible on all mobile networks, these phones are also dual sim, meaning you can run two phone numbers on the one handset. Fantastic for travelling (keep your own number for incoming calls from home and twin it with a local prepay sim at your destination for cheap local data). All of this for a fraction of the S-something price. Take control of your communication needs and those of your team. 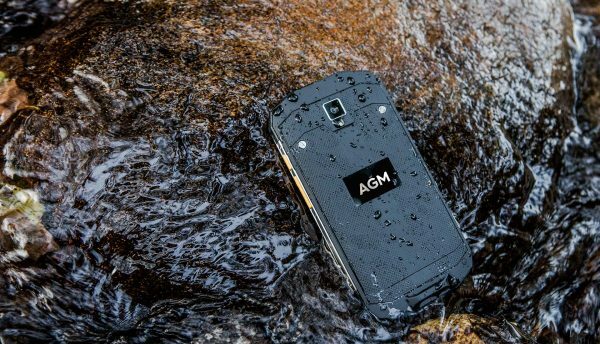 With its IP68 rugged body, the AGM is an extremely durable rugged phone that has been built especially to withstand the toughest of environments. 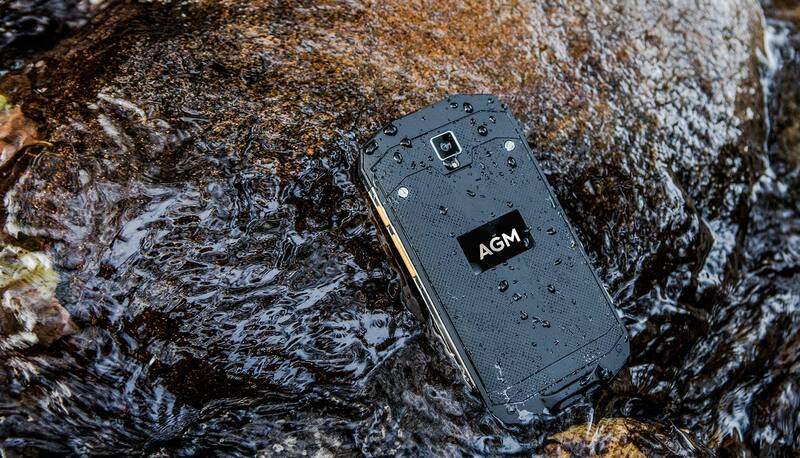 Resistant to water, dust, drops, and more – this rugged smartphone operates perfectly virtually anywhere. Featuring two IMEI numbers, it brings along great connectivity. Allowing you to stay connected to two phone number simultaneously makes this Android phone perfect for those of you that often travel abroad or wish to separate their work and private life in one Android phone. Additionally, it supports 4G connectivity, providing you with the fastest mobile data speeds out there. 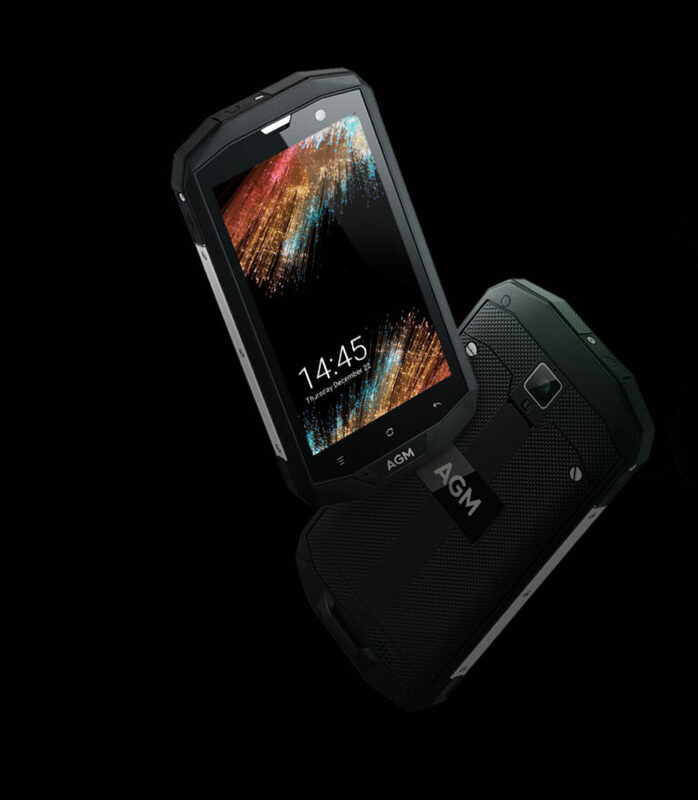 With this rugged Android phone at your side, you’ll always stay connected to your friends, family, and colleagues. Within its rugged body, this Android smartphone packs a Quad-Core CPU that brings along a powerful and energy efficient user experience. Reaching clock speeds up to 1.2GHz, this processor along with the phone’s 4GB of RAM lets you multitask, watch movies, and play demanding games without ever slowing down your device. Featuring 64GB of internal storage and an additional 32GB external memory support, this Android phone offers all the space needed for you to store all your pictures, media, and files. 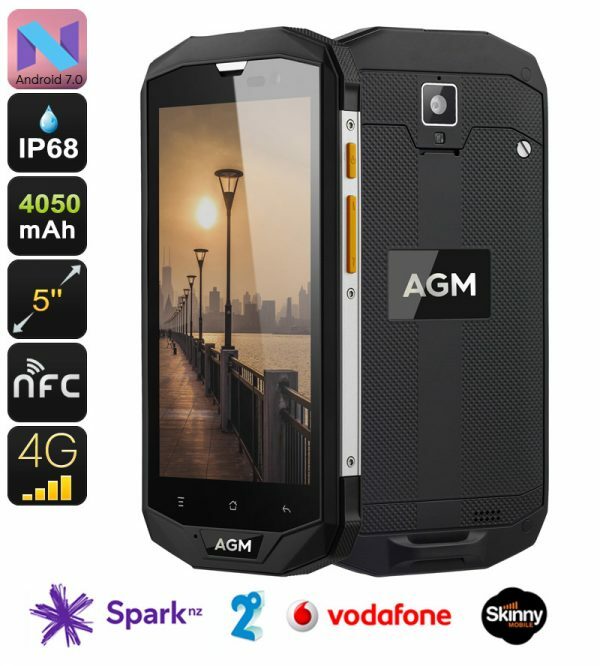 This Rugged Android Phone comes with a 12 months NZ warranty..
I’ve had my AGM A1Q (same spec as M004A as far as I can tell) for a month and, so far it has worked well. Amongst other things I use it outside to read and record barcodes. 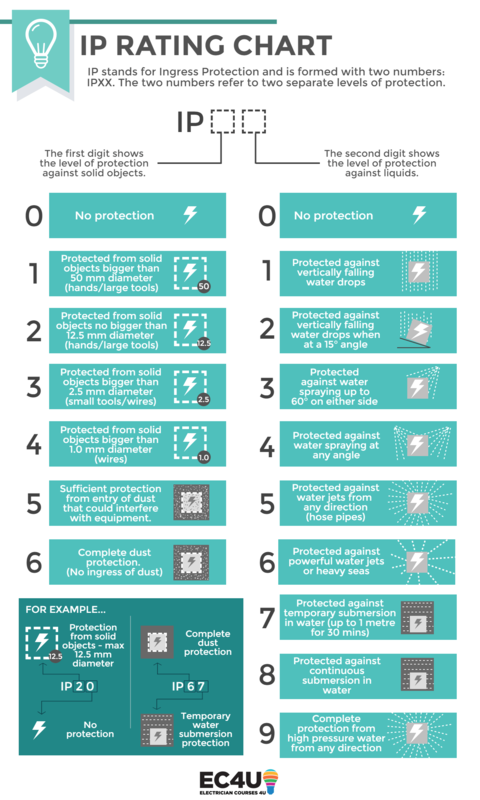 Very handy. The only thing it can’t do is Bluetooth (pair) to my car radio for hands free operation. My old LG and Samsung had no problem. Oddly, it can pair with the LG and the LG can use the AGM’s internet connection, but the AGM Bluetooth setup menu shows Bluetooth disconnected. Something not quite right with AGM’s implementation of Bluetooth maybe, but still a decent phone none the less. I mostly see queries here that have apparently come from either ‘newish’, or prospective customers – nothing wrong with that! But having owned an AGM that I purchased from Ian at the start of May last year, I just felt compelled to comment on how stoked I am with it. 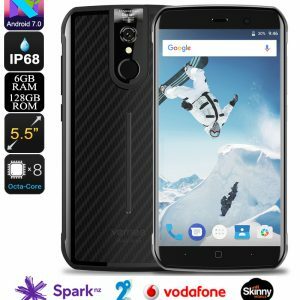 I could have submitted this to the product review section, but it might get missed there among the forest of positive feedback, and as it’s as much a comment about the confidence I have dealing with Ian as the phone itself, I thought this forum might be more useful. (if not Ian, please feel free to use as you wish). Yes the product is awesome, but I really have found the back-up to be spot on too. While the phone hasn’t missed a beat, I’ve had a couple of minor network issues I didn’t fully understand and Ian personally talked me through them – very patiently and with easy, successful outcomes. When I first got the phone it seemed a little ‘bulky’ but it is actually housed in a tough-as chassis and the way I use it means its size is more than ok (especially since it comes with an already fitted screen protector). Opening it up to fit the SIMs etc, I found part of the reason for the slightly larger frame is the (in my opinion) high-quality engineering that even incorporates an o-ring sealed (properly lubed) cover that pretty much blew my mate away (“nothing is really waterproof”, he said – “it’d have to have o-rings”, he said… – hahaha… https://www.electriciancourses4u.co.uk/wp-content/uploads/ip-rating-chart.png) I’m NOT recommending to anyone that they use their phone in a certain way but I’ve used mine fully submersed with full confidence, and haven’t been let down. The battery standby seems remarkable too, especially compared to my work phone. I haven’t made a ‘study’ of it, but it just seems… great. I haven’t felkt the need to ask Ian if I can purchase replacement batteries, but the battery is easily removable, which is comforting to know. Ian very obviously knows what he’s about and looks after his customers. I will have absolutely no worries about buying from him in the future, or recommending him to others. Excellent value for money!